Individual Retirement Accounts (IRAs) are one of the most tax-efficient ways to save for retirement. First National 1870 offers Traditional and Roth IRA plans. When combined with our certificates of deposit (CD) and savings investment options, you may be able to maximize your earning potential. Tax advantages differ based on the type of IRA. Contribute funds annually and potentially deduct contributions from your income taxes. Let your earnings grow tax-deferred and pay taxes later upon withdrawal. 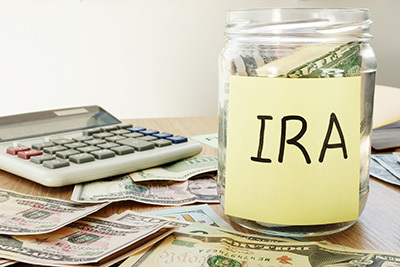 A traditional IRA has no income limitations and may be a good choice if you think your current tax rate is higher than the tax rate you’ll face in retirement, so you get the tax break when it’s more beneficial to you. Roth IRAs allow you to contribute after-tax dollars toward investments that can grow tax-deferred. There are no required minimum distributions, no age limit to contribute, no restrictions on employer plans, and no taxes for your beneficiaries. After age 59 1/2 withdrawals are penalty-free and tax-free. Transfer assets from a previous, employer-sponsored retirement account plan such as a 401(k) to a traditional IRA. Keeping the assets separate from your other IRAs may allow you to roll the funds into another employer plan at a later date. Talk to your tax advisor to find out which IRA is right for you, then talk to us. We’ll help you start preparing for your retirement with confidence.